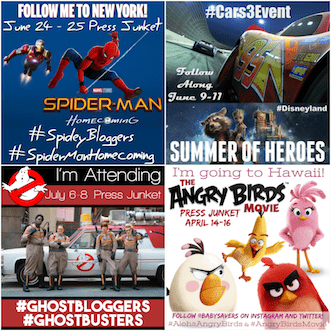 DuckTales Coloring Pages and Activity Sheets: Free Printables! Free Printable DuckTales Coloring Pages and Activity Sheets! Today I'm sharing these free printable DuckTales coloring pages and activity sheets because Disney's DuckTales Woo-Oo! is now available to order on DVD – Just in time for a Christmas delivery! 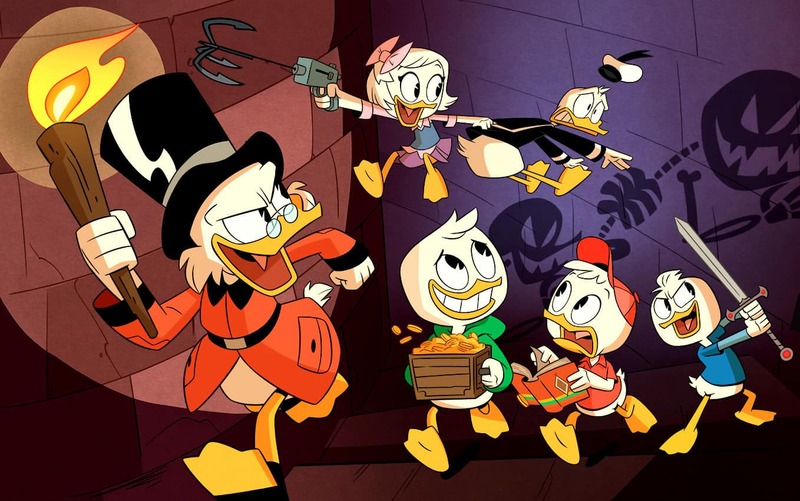 When I first heard that DuckTales was getting a reboot I was excited – DuckTales was one of my favorite after-school programs when I was younger. Then I heard the cast and I was thrilled! There are plenty of other star voices in the DuckTales lineup, too! 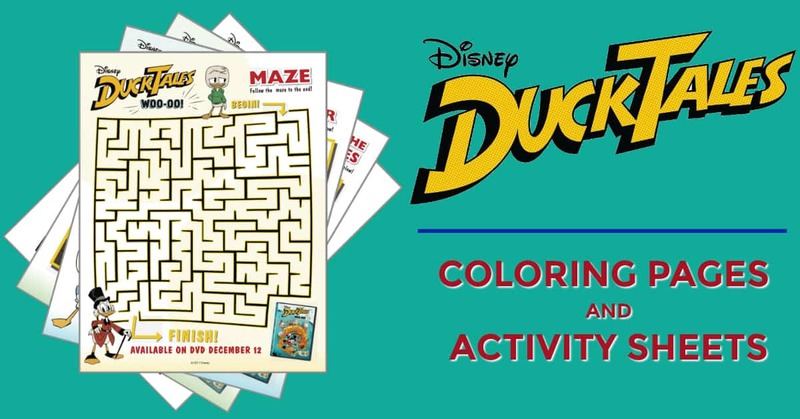 You'll find the link to the printable DuckTales coloring pages and activity sheets below, but first I want to share a bit about the new DVD, which can be ordered today for the official release date of December 19th! From defying danger to solving mysteries, chart a course for action-packed thrills with DuckTales! The high-flying fun begins when Donald Duck reluctantly takes his mischief-making nephews Huey, Dewey and Louie to McDuck Manor, stately home of their rich, reclusive, great-uncle. Life is like a hurricane when Huey, Dewey and Louie Duck discover their uncle is none other than trillionaire treasure hunter Scrooge McDuck! Unfortunately, Scrooge hasn't been adventuring in years. It's up to the nephews and their action-ready friend Webby to shake him out of his funk by stirring up some supernatural trouble in his home. Enthralled by the exploits of their once-legendary great-uncle, the triplets and their fearless new friend Webby unwittingly unleash secret totems from Scrooge’s epic past, launching the entire family on a daring, deep-sea quest for the Lost City of Atlantis. 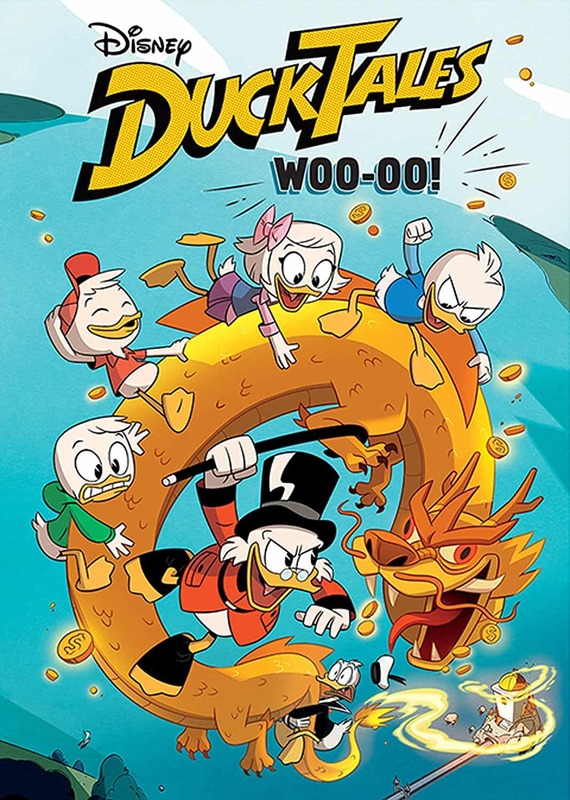 Together, the team must survive dangerous foes, treacherous temple traps and their overprotective uncle, Donald Duck, to prove that family is the greatest adventure of all! 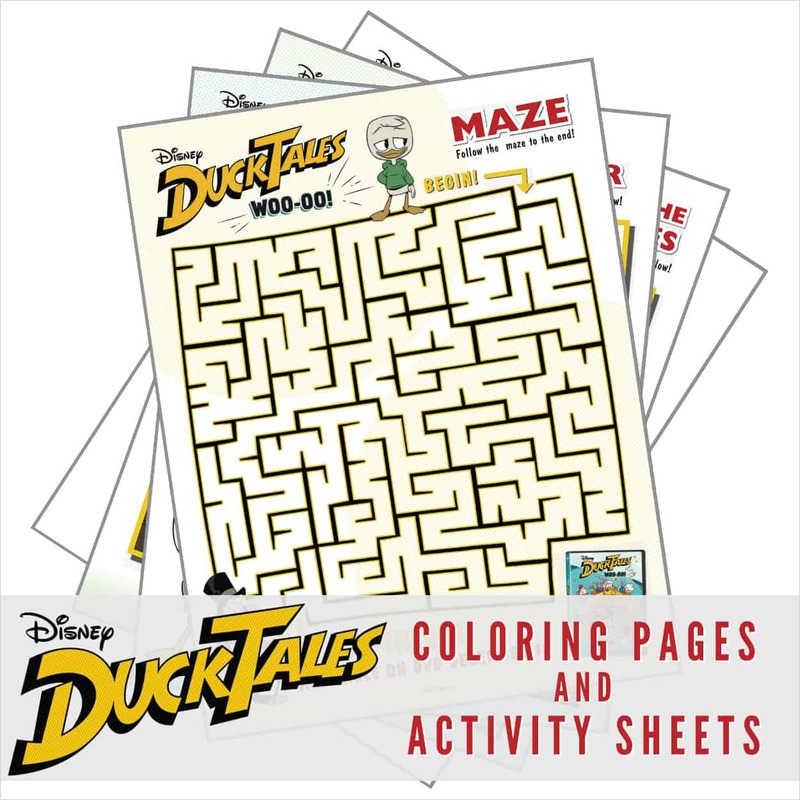 Ready for your free printable DuckTales coloring pages and activity sheets? Go here print them right off the page. You can also download them and save them to your own computer! DuckTales Woo-Oo! Is available to order now on DVD. Order it today!